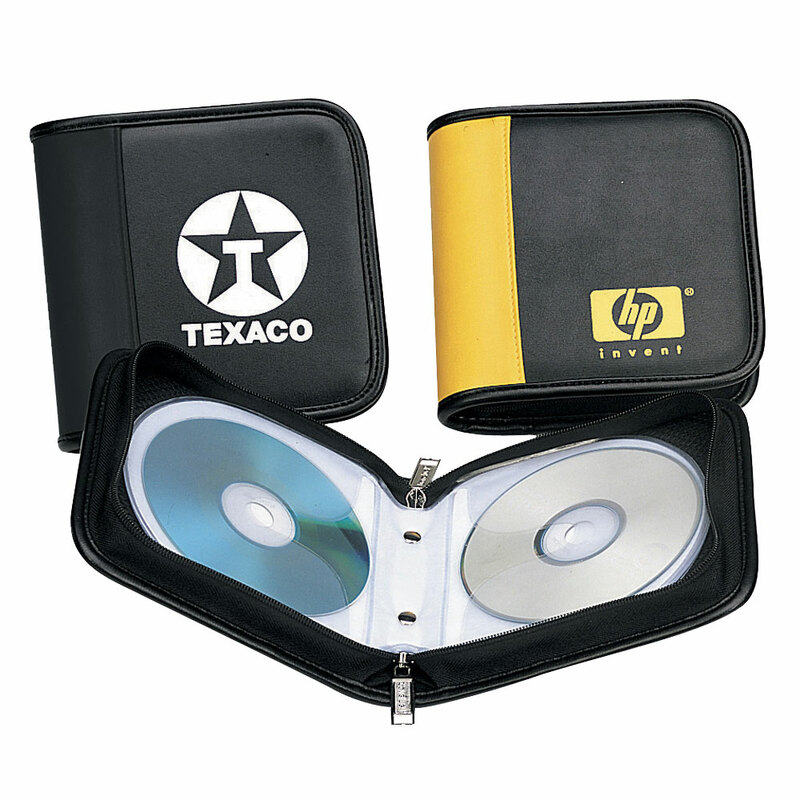 Made of strong dura-hyde , this square case with modern color accent has 12 sleeves to accommodate 24 CDs. Imprint: On front cover approx. 3 1/2" x 3"
Product Size: 6 1/2" x 6 1/4" x 1 3/4"
Pack Info. : 48 pcs / 18.00 lbs. Pack Note: (Dimension Weight) / 17" x 13" x 13"